Our March Puffer Box was shipped on March 20th, the first day of spring. We embraced the season with a perfectly appropriate theme: One With Nature. 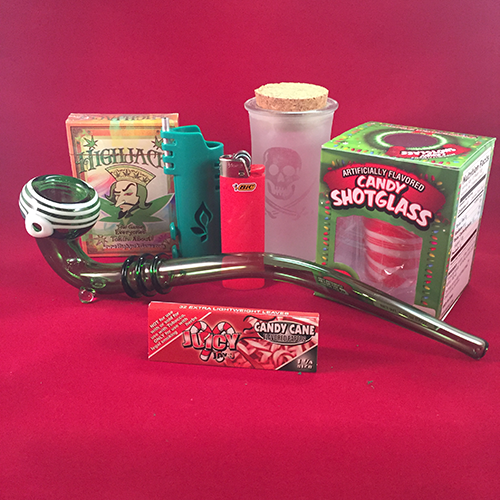 The signature piece of this month’s box was a beautiful glass blown bubbler. This smoking essential was enhanced with a green gecko on the base surface. A raised pattern decorated the entire outer edge of the bowl. Help your smoke sesh out with the included silver pipe screens. They act as a barrier to keep things separate and prevents inhaling ashes. We included a hydration stone with your box. The RAW reusable hydrostone gives you a moist and pleasant tobacco to smoke every time. To use, simply place the stone in water for five minutes and it’s good to go. The box wouldn’t be complete without some munchies. We threw in some Jolly Rancher fruit chews for this month’s candy selection. The travel friendly box includes individually wrapped candies that are packed with flavor. 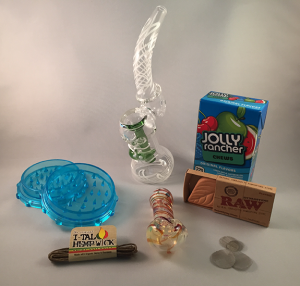 Each box included a transparent acrylic grinder from a wide variety of colors. The grinder’s shark teeth design and spacious container grinds with ease and results in a perfect fluffy texture. 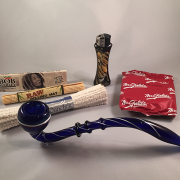 The hemp wick in your box has many advantages over butane lighters and are a popular method to light a bowl. 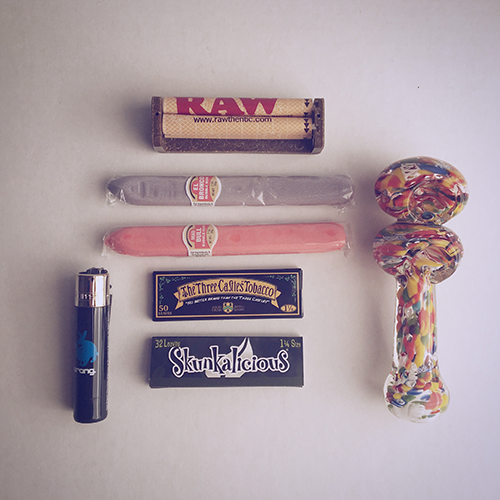 The wick is made from hemp fibers and may be wrapped around your lighter so that it can be easily lit. Finally, we’ve included a smaller stripped pipe. This glass piece is made with color changing glass that will enhance the striped decorations and overall look of the pipe over time. We hope everyone has enjoyed their Puffer Box this month. A lot of great things are planned for 2015!